1967 is the CRUISIN' year when "Haight-Ashbury" and "hippie" became household words, when the Human Be-In was followed by Monterey Pop ... But first, a word from our guide, Dr. Donald D. Rose of WQXI in Atlanta, known to its listeners as "Quixie in Dixie," a station that personified East Coast Top 40 AM radio and probably used more echo than any other during that period. Rose was the early morning jock (6 to 9 a.m.) and believed the best way to get things cracking was to load up the airwaves with groaning puns and corny jokes, punctuated by the sound of a mewling cow named "Lulubelle." If you asked him where he got the "Dr." in his name, he'd answer: "I studied medicine in Cairo ... I'm a chiropractor. I could probably be a pretty good bone doctor ... people say I have the head for it. But I've always specialized in psychoceramics ... crackpots!" "My voice reassures everybody that everything is okay and that we made it through the night," the Doctor explained. "My motto is: Smile even though it kills you, and you'll die with a silly grin on your face." Of course it wasn't all smiles in 1967, for this was the year fire killed three astronauts on the Cape Kennedy launch pad, the year of the six-day Israeli-Arab war, the year 66 were killed and 3,500 injured in racial rioting in Newark and Detroit. Still, it was also when Thurgood Marshall was sworn in as the first black Supreme Court justice, Dr. Christian Barnard performed the first successful human heart transplant, and 35,000 Vietnam protestors marched on Washington in a gallant attempt to levitate the Pentagon. Down in Pop Cultch Gulch, meanwhile, "Bonnie & Clyde," "Blow-Up," "Don't Look Back" and "The Graduate" were among the favorite "youth" films released, and the year's top three albums also were linked to Hollywood too: "Dr. Zhivago," "Sound of Music" and "A Man and a Woman." North, in San Francisco, everything was incense and music and dope, paisley, flower-power, lightshows and, for a short while, banana peels. This was the Summer of Love. LSD Not LBJ, and Take a Hippie to Lunch. And Rolling Stone (the magazine) was born. In the music world, Aretha Franklin recorded Respect, A Natural Woman and I Never Loved a Man ... Jimi Hendrix released his first album, "Are You Experienced?" ... Jim Morrison sang Light My Fire ... Jefferson Airplane cut "Surrealistic Pillow" ... Janis Joplin and Otis Redding were "discovered" at Monterey ... the Beatles blew all minds with "Sgt. Pepper's Lonely Hearts Club Band" ... and don't forget Bobby Gentry's saccharine Ode to Billie Joe. Was it any wonder that record sales passed the $1 billion mark for the first time? 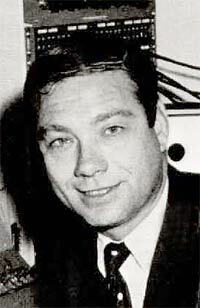 Radio was changing, too, with the birth of the "underground" FM sound, also in San Francisco. But, oh, the abundance of one-hit acts, groups that failed to make it into the Seventies and usually played for the youngest listener. For instance, whatever happened to the Happenings, the Casinos, the Soul Survivors, Don and the Goodtimes, Every Mother's Son, the American Breed, the Blades of Grass, the Lemon Pipers, the Love Generation, the Candymen, and the Fifth Estate  all of whom made debuts on the '67 charts, and departed shortly afterward? 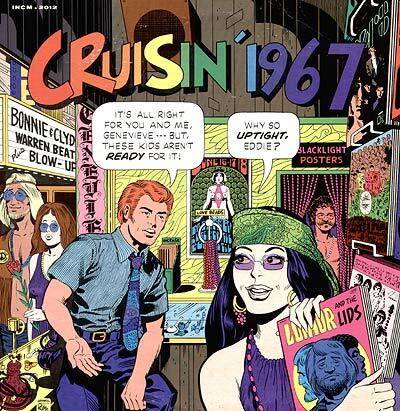 In CRUISIN' 1967, Dr. Don Rose's show presents several of the whatever-happened-to's, showing clearly the year's teeny-weeny appeal. The original Cruisin series was conceived and produced by Ron Jacobs. The "airchecks" on CRUISIN' were not actual broadcasts, rather, they were masterful re-creations featuring legendary air talent. Our thanks to RJ for making this classic material available to REELRADIO. 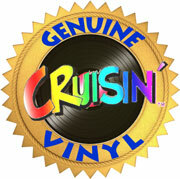 The original CRUISIN' 1967 LP was released in September, 1973.